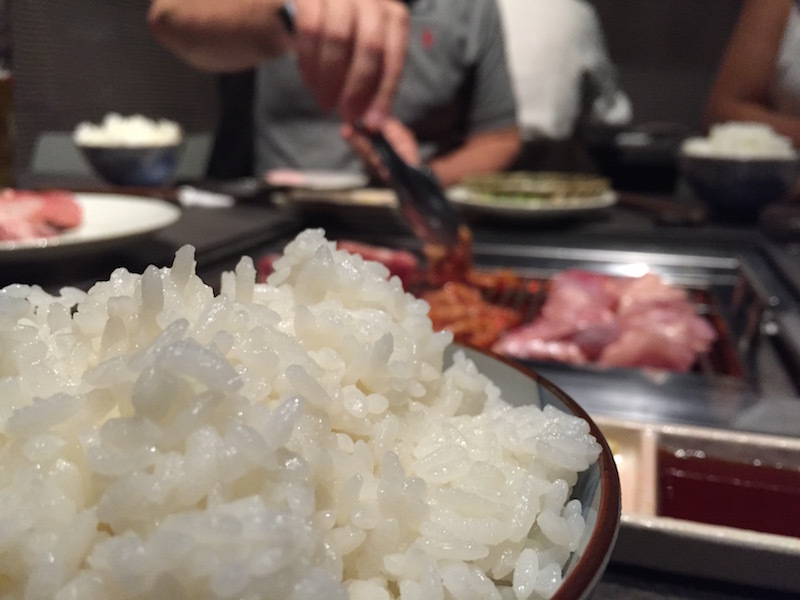 Home » Food & Drink » Dinner » Ushido – Have you ever had Japanese Barbecue? 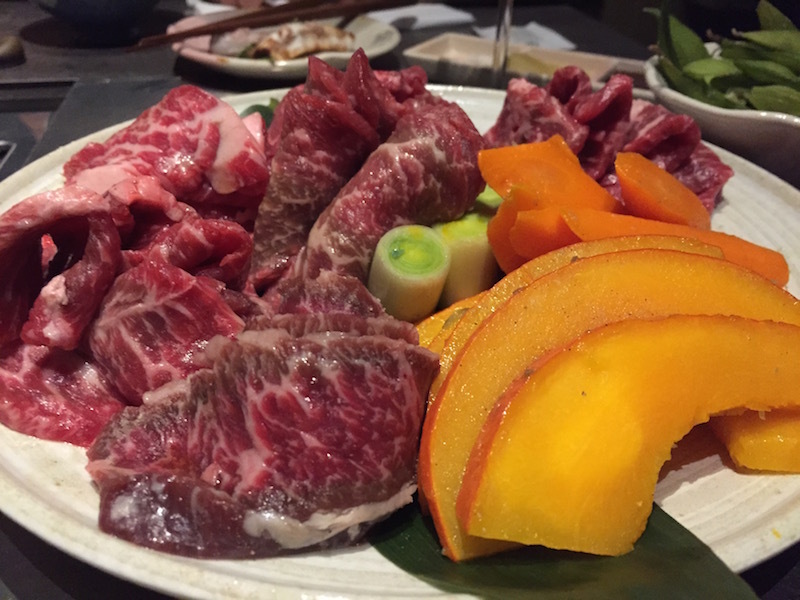 Ushido – Have you ever had Japanese Barbecue? When our friends invited us to this new Japanese place in a lovely street in Prenzlauer Berg, we were a little suspicious. What does Japanese Barbecue even mean? Initially I thought it would a version of Yakitori (Japanese skewers). I was completely wrong. Ushido Japanese Barbecue is a new concept to Berlin and possibly to many people living here. Let me describe. At the center of every table there is a grilling station (kind of a fancy one), where the guests grill their meats to taste. Some of them come already seasoned, some don’t. Much like a Korean barbecue concept, except the meat cuts and seasoning come truly with a Japanese mark. Along with the meat cuts, guests get veggies for grilling and yummy side dishes. And better yet, they do have a super efficient exhaust system that won’t let your clothes smell. Yay for that! Ushido’s design is modern and yet inviting. 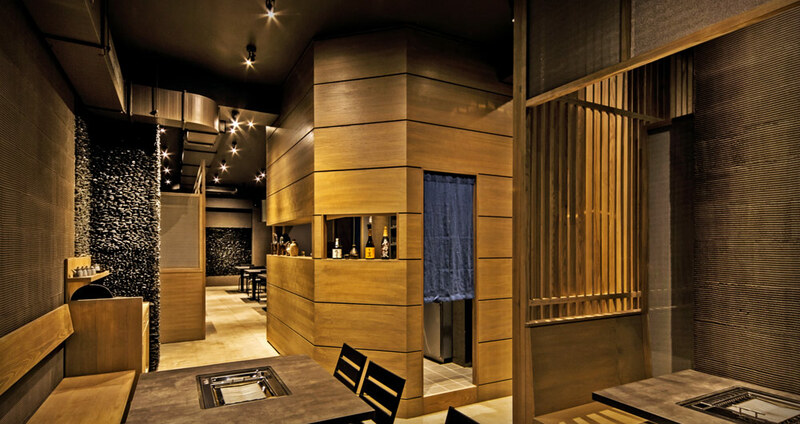 The lighting scheme, color scheme, wooden and stone details give it a distinct cozy Japanese feel. The dinner menu focuses on the meat cuts and types. The beef selection is beautiful. Choose either Wagiu or US Beef. You can pick and choose from specific meat cuts. After you’ve picked your beef preferences, choose from a nice selection of side dishes and veggies. There are combo plates with pre selected meats and cuts (some of them even include chicken and pork). These are usually for 2+ persons. During lunch this place only serves Bento Boxes, so if you would like to try Japanese Barbecue you should come here at night. Reservations are highly recommended, especially on weekends.